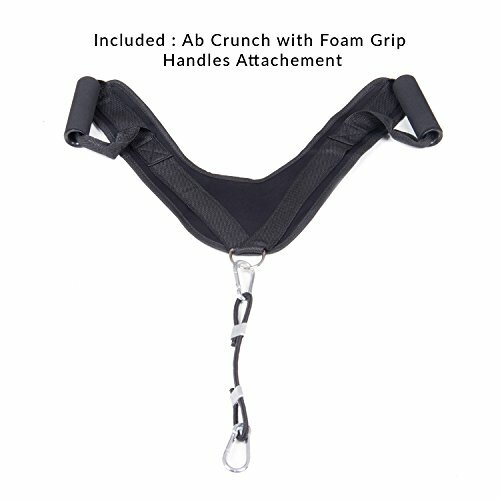 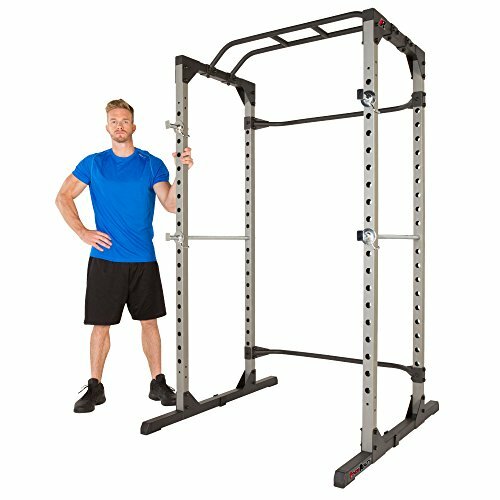 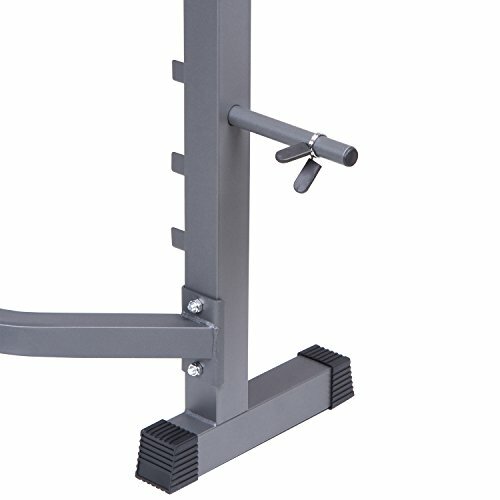 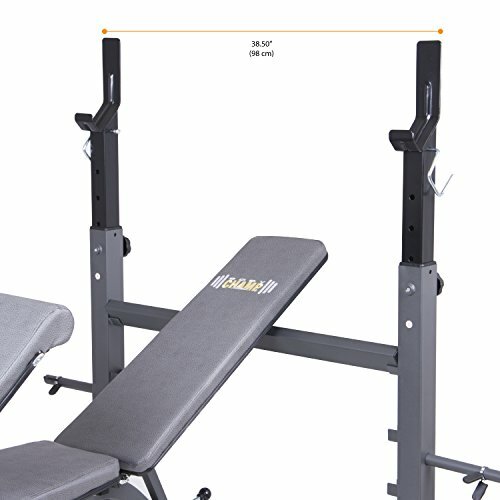 COMPATIBLE WITH MOST 6' and 7' WEIGHT SET BARS. 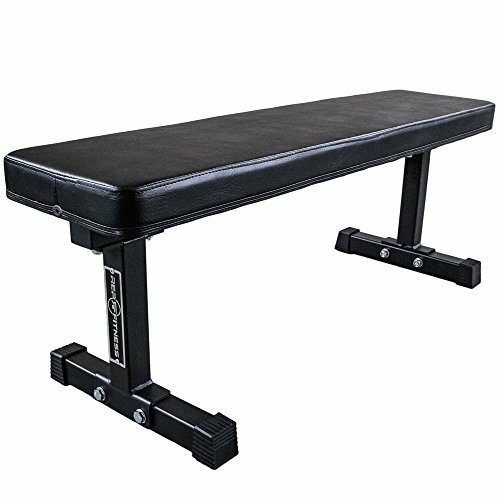 (Since the outer catch width is 38.5", the length between collars of the bar you intend to use with this bench must be greater than 38.5". 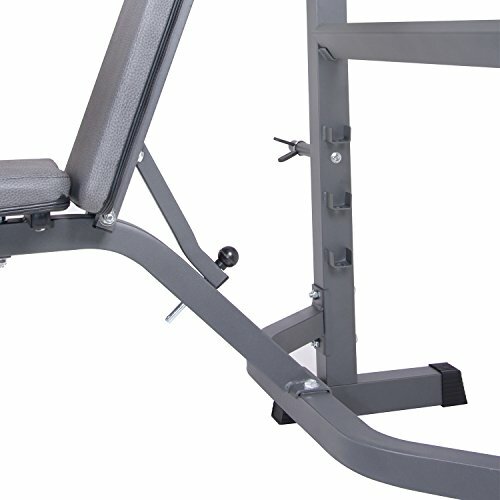 Please check your weight set bar manufacturer's dimensions and specifications to ensure compatibility. 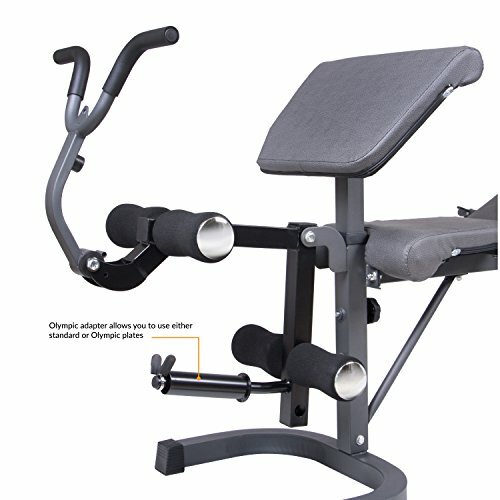 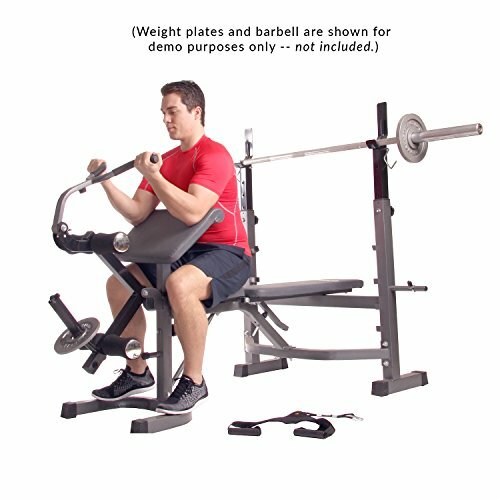 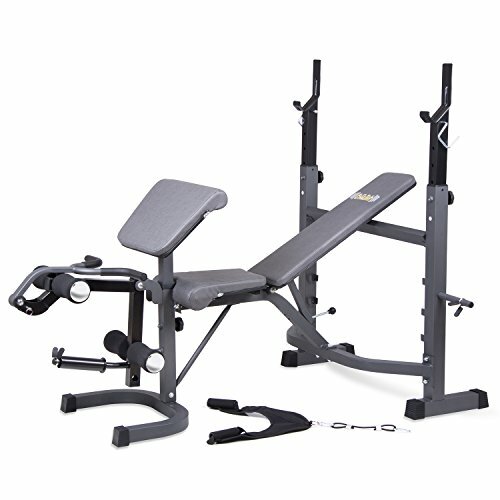 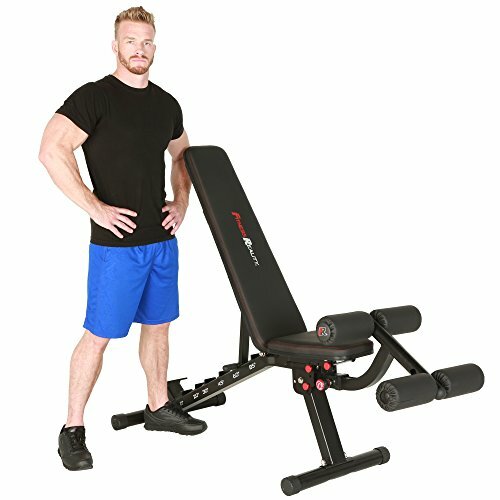 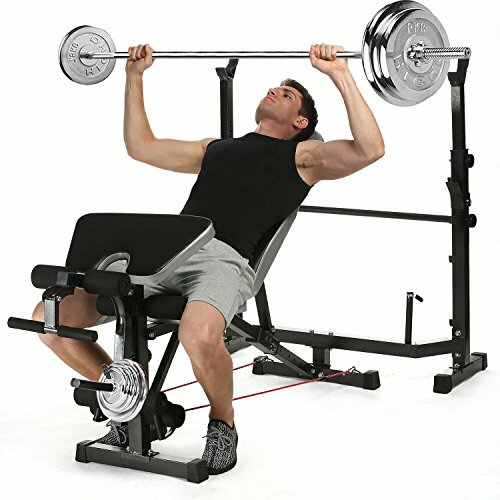 ),7-POSITION ADJUSTABLE BACKREST: Multiple Decline/Flat/Incline/Military Positions for versatility in one machine,ADJUSTABLE DUAL-ACTION LEG DEVELOPER: with Adjustable Foam Rollers for Leg Curl/Leg Extension,KEY ACCESSORIES INCLUDED: Olympic Plate Adapter, Spring Clip for Leg Developer, Preacher Curl Pad, Arm Curl Bar, and Ab Crunch with Foam Grip Handles Attachment,ENHANCED SAFETY: with built-in Safety Hooks and No-pinch Design to prevent injury to hand and grip,Please note: There are many weight set bars available in the marketplace. 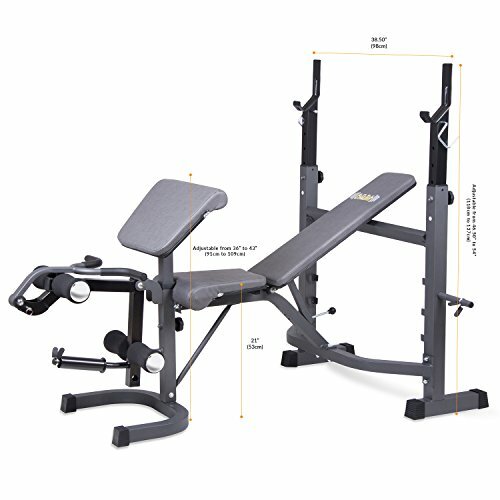 To ensure your expectations of usage are met, please cross-check and contact your weight set bar manufacturer for dimensions and specifications to determine compatibility.